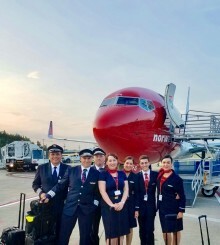 Norwegian launched its first nonstop transatlantic flight from Stewart International Airport to Edinburgh Airport in Scotland today. This is the first of five routes that will operate from the airport. The airline’s other routes to Ireland, Northern Ireland and Norway will launch in July.